When I applied for the position of Executive Director for Community Crops, it was with a passion to be more directly involved with some of sustainability issues that affect each of us and our future generations when it comes to food production, energy, and waste management. 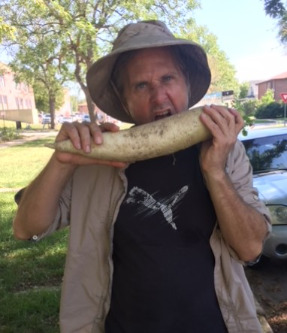 The efforts of Community Crops, its staff and board of directors, and its enviable partners in city government, the Lincoln Public School system, and with community groups at large to bring knowledge and understanding to food sources is invigorating. It is a joy to wake in the morning with this sense of purpose in promoting healthy food choices in the community. This year Crops moves ahead with its nine community gardens, and hopes to fill every plot with a deserving urban gardener. Our Growing Farmers Training Program will bring education and farming opportunities this year to the Yazidi people from North Iraq. 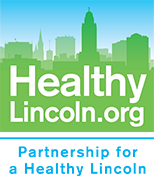 We continue to seek ways to fulfill our mission of providing education, advocacy and resources to grow local food to the young and old citizens of Lincoln. 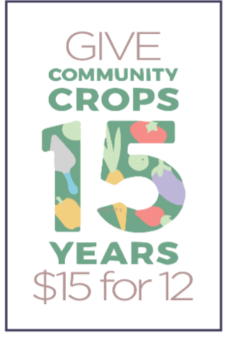 I am very excited to be a part of the next chapter of Community Crops. Annual Plant Sale, May 3 and 4 at Wyuka Stables.